ESCANABA – Don Crawford’s Great Grandfather went to Hancock as a cabinet maker in 1863 at the start of the copper boom. He started working as an undertaker because he could make caskets. 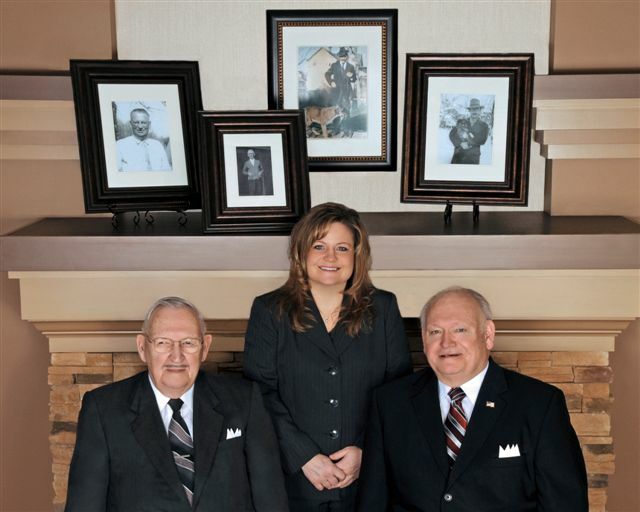 The family has continued to run the business for 150 years. The business went through changes as each generation was involved in the funeral home. Don worked in Hancock until 1959 when he moved to Escanaba. “I was working there one day and I was reading the Michigan funeral director’s magazine that used to come out on a monthly basis then. It said the Allo Funeral Home in Escanaba needed help immediately. I called them and I came down here for an appointment for Thursday at 5 o’clock. Sunday noon we were living in Escanaba,” remembered Don. It was a move he said he did not regret. With copper mines closing around Hancock, Escanaba was booming with companies like Harnischfeger, Chicago & North Western and Mead Paper Mill. His son James became a fifth generation owner when he decided to work with his father. “I went into the service for two years and came back out and wasn’t really sure what I wanted to do,” James said. He knew he didn’t want to stay in the service so he joined his father at the funeral home. “I got out of the service in 1969 and continued my education, went to mortuary school and graduated in 1974,” he said. And now Caren Crawford works in the business. Like her father, see finished college not knowing what she wanted to do. She asked if she could help out around the funeral home. “I feel very fortunate to have the opportunity to not only work with my dad but also have the opportunity to still work with my grandpa. It’s something that not everyone has the chance to do. I am very fortunate,” said Caren. The Crawford Funeral Home in Escanaba has been in business for 150 years and was the recipient this month of the 2013 Centennial Award from the Delta Chamber. Share the post "Six generations operate funeral home for 150 years in Upper Peninsula"
Categories: Delta County and Profiles. Tags: Delta Chamber, Delta Chamber Annual Dinner, Escanaba, and Funeral Home.